Pack your favorite pair of sunglasses because you will definitely be needing them. Whether you’re laying by the pool or on the beach, that tropical sun can be super bright. If you don’t wear sunglasses at the beach, you can really damage your eyes. 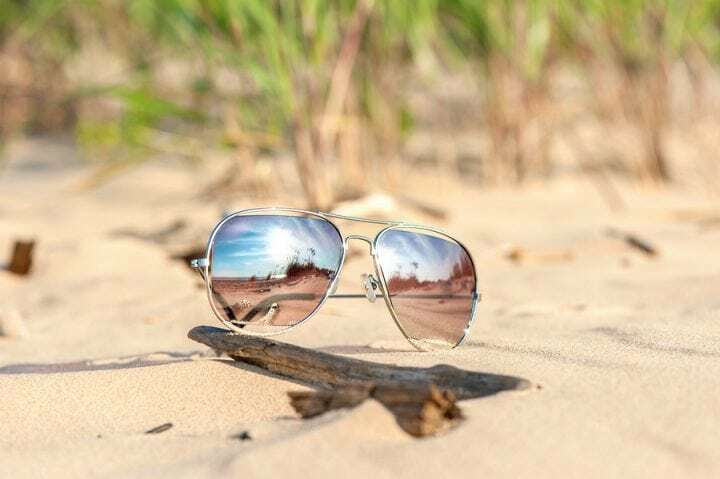 You can read this article to gain some knowledge on why sunglasses are so important. Plus, the right shades can make you look amazing! If you don’t love sunglasses or you feel like they get in your way, you can certainly opt for a hat! Baseball caps are a very common substitute at the beach. Plus, Bloomsburg University hats can be a great conversation starter. You’d be surprised how many people I’ve met at the beach that know where I’m from, or are alumni themselves! Sun hats offer a bit more coverage than baseball caps, and can also be more high fashion. If you’re not a tomboy like I am, maybe you want to show your feminine side with an adorable sun hat. The number of swimsuits you pack all depends on how many days you’ll be at the beach, whether your hotel room has a washer and dryer, and how many days you want to look cute in the same suit. I typically pack three bikinis for a week and wear each one twice. The type of swimsuits you pack also depends on what you’ll be doing. I stick with the old standby: triangle tops and bikini bottoms. However my main goal is getting a tan with minimal tan lines. If you plan on playing volleyball on the beach you might want something a little more supportive, if you want some crazy tan lines you can go for a strappy suit, or maybe you burn easily and need some extra coverage that a one-piece might give you. I am extremely fair-skinned. I made the mistake one time of not wearing sunscreen at the beach. It was cloudy, so I thought I’d be safe. I was wrong…oh, so wrong. I woke up the next morning looking like a freshly boiled lobster and my face and chest were covered in blisters for two weeks. Never again. My recommendation is a sunscreen or tanning lotion with SPF 30 for at least the first few days. I typically go to the tanning bed two or three times to get a base tan before I throw myself into the sun for hours at a time. Skin cancer is a real risk that everyone is probably well aware of, but if your goal is tanning, you should still be using sunscreen. Cover-ups are another way to protect yourself from the sun’s rays if you’re feeling burnt, but they are also a super fun way to show your style at the beach. My go-to cover-up is a white and brown knee-length dress with blue and red daisies on it, however if I’m feeling more sporty I’ll opt for running shorts and a t-shirt. Beach tip: cover-ups can also act as a pillow or headrest on the beach when you’re not wearing them! 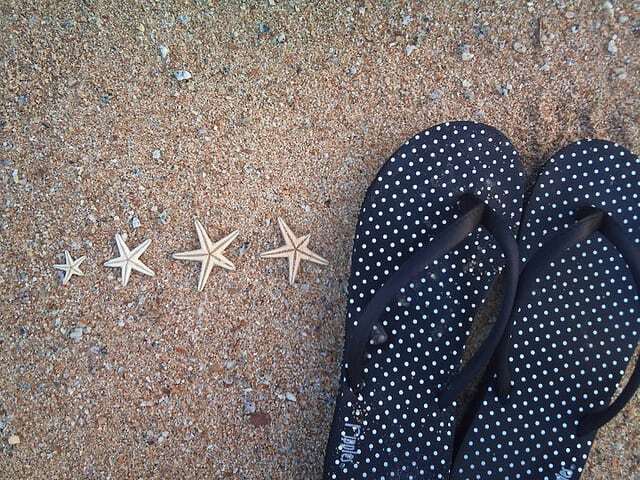 Flip flops are a beach essential at any time of year. My suitcase usually contains three to four pairs. I have two pairs of the typical Old Navy flip flops that everyone buys in bulk to wear to the pool or to the beach. Then I usually pack one pair of flip flops that aren’t made of foam and plastic…I can pair them with jeans shorts and a casual top. Lastly, if I know I’ll be going somewhere fancy for dinner throughout the week, I’ll pack a pair of wedge heels to wear with a sundress. The beach is one of the easiest places to get dehydrated. You lay out in the hot sun or go swimming in a pool or the ocean for hours at a time, and your body needs more water than usual. Make sure you pack a water bottle that you can refill, or just buy a big case of bottled water for your whole crew. 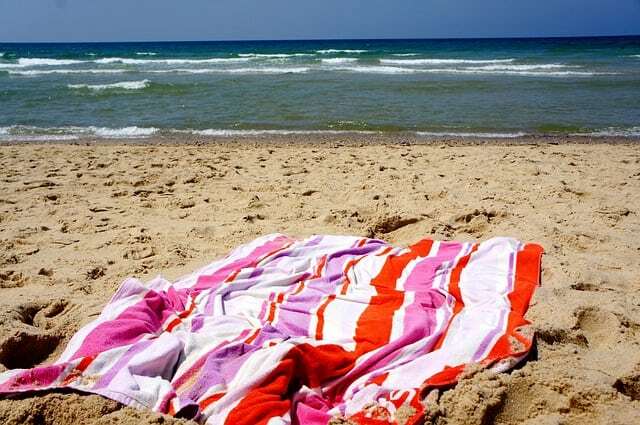 Depending on where you stay, your hotel might provide towels, but if you’re not sure you should totally pack a beach towel. You’ll need it for lying on the beach or by the pool. And if you’re driving to your destination and have more room to pack, I recommend taking a beach blanket or a two-person towel. They’re great if you’re taller or if you like to spread out on the beach. 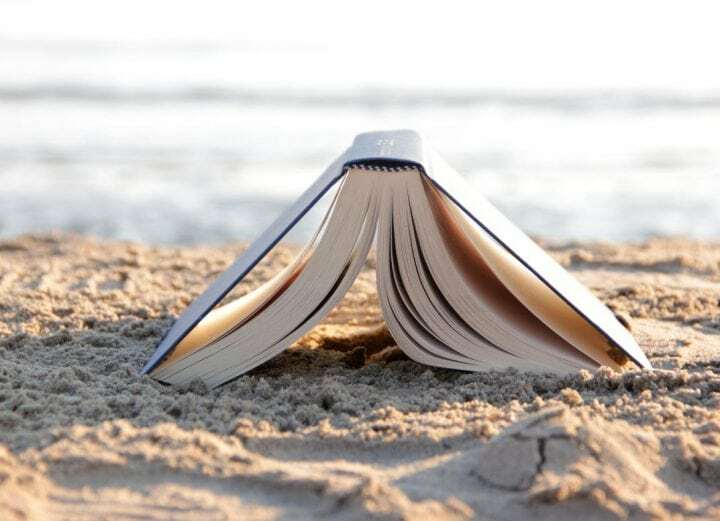 I always make sure to take a book to read while I’m at the beach. Laying around all day can get boring really fast. I have also found over the years that Nicholas Sparks’ books are perfect on any occasion, but especially the beach. I also cannot go a day without listening to music, so I always keep my Phone charged and ready to go. I also have a few go-to Spotify playlists downloaded to listen to offline. Wifi isn’t typically available on the beach! The beach is also a very easy place to ruin good headphones, so you might want to invest in a cheap $5 pair from the dollar store or a gas station. Or, if you’re hanging out with a group on the beach, bring a speaker so everyone can hear your awesome spring break playlist. Every morning, you’re going to need to hike out to the beach and take all of your stuff with you. Beach bags make it super easy to carry everything at once. Sure they’re big and bulky, but at least you don’t have to make two trips! And if you’re someone who takes a minimal amount of stuff to the beach, a drawstring bag is perfect for packing light. I’m sure that I’m forgetting something (I always do). Hopefully this gives you a basis for what to pack this weekend before going on your fun spring break adventure! Previous articleEpisode 4: GSP/Khabib, Zion Williamson, Manny Machado, Antonio Brown, etc.